Catch up on the latest news stories featuring Lifehouse. 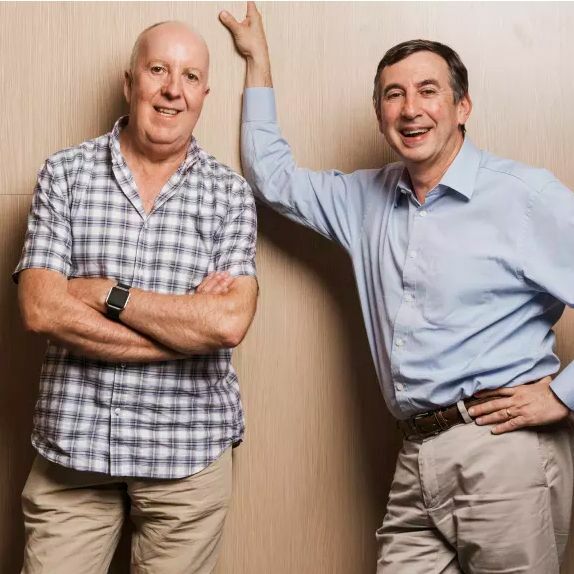 The Good Weekend Magazine featured Lifehouse’s own Michael Boyer and Keith Cox, highlighting their close friendship of over 35 years and their professional work in treating cancer patients and touching the lives of many. Chris O’Brien Lifehouse welcomes the news that it will be one of the first locations of the new trial for Benitec Biopharma’s ground-breaking clinical trial for the treatment of head and neck squamous cell carcinoma. Cancer survivor Lisa Greissl delivers ‘Big Hug Boxes‘ to support Lifehouse patients through treatment while raising funds for cancer research. CancerAid is the self-reporting and symptom monitoring smartphone app for patients, developed by former Chris O’Brien Lifehouse employees Raghav Murali-Ganesh and Nikhil Pooviah. Cedars Sinai is the first US hospital to incorporate CancerAid’s self-reporting information into a dashboard system for doctors. On June 2, a rock and roll charity gig with The Interceptors, comprised of former Glam rocker members of Hush, came together to perform at The Bunker at Coogee Diggers to raise money for our work here at Chris O`Brien Lifehouse.